Formed in 2001 and with offices in London, Hereford and Buckinghamshire, Octaga Risk Management has an extensive resource of experienced and specialist consultants. With a unique wealth of legitimate field expertise, from exceptionally trained civilian, ex-military and UK Special Forces personnel, we deliver first-class security solutions to a diverse spectrum of corporate institutions, HNW individuals and government organisations. 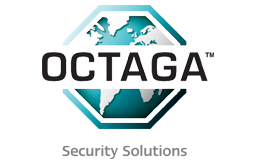 Octaga is one of the leading security and risk management companies in the UK, holding National Inspectorate (NSI) Gold status in both Physical Security and Technical Systems; the industry’s highest award. We are also accredited as a Security Institute (SIA) Approved Contractor (ACS) and Principal Member of the British Security Industry Association (BSIA). Our dedication and commitment to the delivery of professionalism and discretion in each service enhances our continued drive for excellence, as we strive to maintain and evolve with security industry development and the changing threats facing today’s global environment.